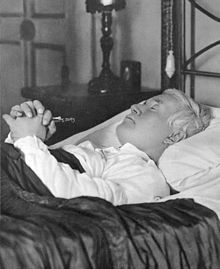 Pope Pius X (Italian: Pio), born Giuseppe Melchiorre Sarto[a] (Italian: [dʒuˈzɛppe melˈkjɔrre ˈsarto]; 2 June 1835 – 20 August 1914), was head of the Catholic Church from August 1903 to his death in 1914. 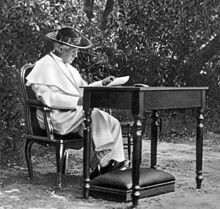 Pius X is known for vigorously opposing modernist interpretations of Catholic doctrine, promoting liturgical reforms and orthodox theology. 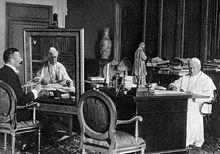 He directed the production of the 1917 Code of Canon Law, the first comprehensive and systemic work of its kind. 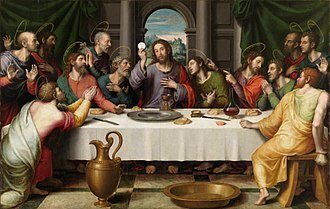 ^ Homilies in the celebration of the Forma Extraordinaria did not always necessitate a sermon or homily prior to the changes of the Second Vatican Council. 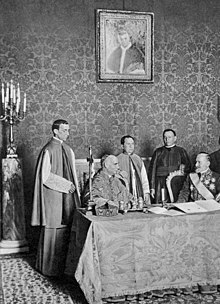 ^ Pope Pius XI revived the practice of dining alone during his pontificate but no other successor of Pius X is known to have followed this custom. ^ "hSarto". Araldica vaticana. Retrieved 2013-06-23. 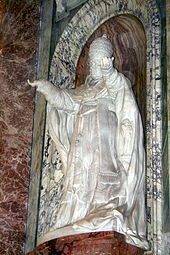 ^ "Pope joins faithful at altar of St. Pius X". Vatican Insider. 22 August 2015. Retrieved 23 August 2015. ^ Sarto, Giuseppe Melchiorre (1832). "Syllabus of Errors". Gregory XVI Mirari Vos. .
^ a b c Kühner 1960, p. 183. ^ a b Pius X. Franciscan SFO. .
^ "Pope Pius X". Greenspun. Retrieved 23 June 2013. ^ Herbermann, Charles, ed. (1913). "Pope Pius X" . Catholic Encyclopedia. New York: Robert Appleton Company. ^ Zinelli, Federico Maria (1832). "Dei due metodi analitico e sintetico discorso dell'abate Federico Maria Zinelli". ^ "The Pope Who Had No Doctorate". The Catholic Herald. UK. 11 May 1956. Retrieved 23 June 2013. ^ Pham, John-Peter (2004). Heirs of the Fisherman: Behind the Scenes of Papal Death and Succession. Oxford University Press. ISBN 9780199334827. Retrieved 17 November 2017. ^ Schmidlin, Josef; de Waal, Anton (1904). Life of His Holiness Pope Pius X. Benziger Brothers. pp. 186ff. Retrieved 17 November 2017. ^ "'Pope and Mussolini' Tells the 'Secret History' of Fascism and the Church". NPR. Retrieved 4 February 2014. ^ a b Sarto 1904, 10. ^ J. de Luca, Disharmony among bishops: on the binding nature of a papal motu proprio on music, Journal of the Australian Catholic Historical Society 35 (2014), 28-37. ^ "The Pope's First Allocution". The Tablet: 778–9, 813–4. 14 November 1903. Retrieved 18 July 2018. ^ Noel 2009, p. 8. ^ Sarto, Giuseppe Melchiorre (1907-07-03). "Lamentabili Sane". Papal encyclicals. Retrieved 2013-06-23. ^ Sarto 1905, p. 3. ^ Joseph Ratzinger (2 May 2003). "On the Abridged Version of Catechism". Zenit. Archived from the original on 18 February 2008. .
^ a b Ratzinger, Joseph, Interview, IT: 30 giorni, The text... was characterized by simplicity of exposition and depth of content. That is also a reason why the Catechism of Saint Pius X may still find friends in the future . ^ Sarto, Giuseppe Melchiorre (15 April 1905). 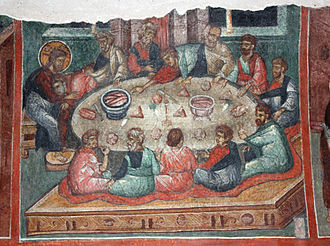 "Acerbo Nimis". 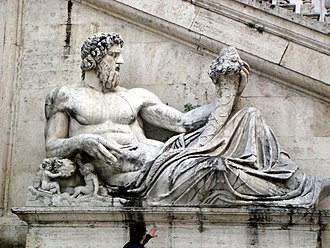 Rome, IT: Vatican. Retrieved 23 June 2013. ^ Sarto 1905, p. 2. ^ Moir, John S. "Canadian Protestant Reaction to the Ne Temere Decree". Winnipeg, Manitoba: University of Manitoba. Retrieved 23 June 2013. 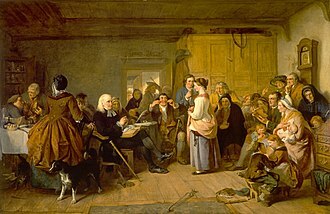 ^ "Debate on 'Ne Temere'". Hansard. Mill Bank Systems. 1911. Retrieved 23 June 2013. ^ Schmidlin 1904, III, 125. ^ "San Francisco Call 4 April 1910 — California Digital Newspaper Collection". cdnc.ucr.edu. Retrieved 2017-09-22. ^ "Acta Sanctae Sedis" (PDF). 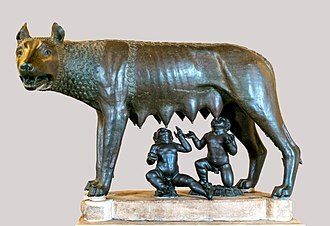 Ephemerides Romanae. Rome, IT. 39. 1906. Retrieved 9 June 2011. .
^ Renz 2009, p. 43. ^ "Out On A Limbo". Catholic. Archived from the original on 3 September 2011. Retrieved 23 June 2013. ^ "Past Roman Catholic statements about Limbo and the destination of unbaptised infants who die?". Religious tolerance. Retrieved 23 June 2013. ^ "100 Years Ago You Would Have Been Talking About the Tango". New England Historical Society. ^ "Do the Furiana". The Milwaukee Journal. ^ a b Thouvenot, Fr. Christian (April 2004). 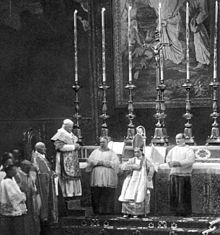 "Canonization of Pope Pius X by Pope Pius XII". The Angelus. Retrieved 3 November 2013. ^ Walter Diethelm (1956). 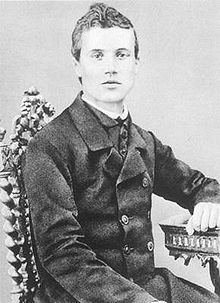 Saint Pius X: The Farm Boy who Became Pope. pp. 160–161. ISBN 978-0-89870-469-3. ^ Christine Quigley (2006) [First published 1998]. Modern Mummies: The Preservation of the Human Body in the Twentieth Century. McFarland & Company. p. 204. ISBN 978-0-7864-2851-9. ^ "The Canon Process – Museo San Pio X". IT: Museo san Pio X. Retrieved 23 June 2013. ^ "Life on the Newsfronts of the World". Life. 18 January 1954: 42. ^ a b Papal Heraldry, Donald Lindsay Galbreath, page 105. Bavoux, GA (1996). Le porteur de lumière [The bearer of light] (in French). Paris: Pygmalion. Chadwick, Owen. A History of the Popes 1830-1914 (2003). online pp 332–405. Chiron, Yves (2002). Pope Saint Pius X: Restorer of The Church. Kansas City, MI: Angelus. ISBN 978-1-892331-10-6. Cornwell, John (2008). 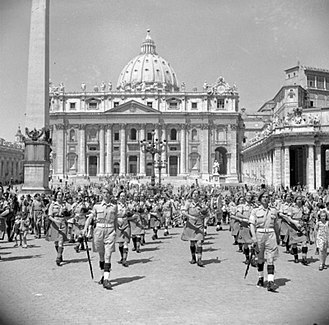 Hitler's Pope: The Secret History of Pius XII. Penguin. ISBN 978-0-14311400-0. F. A. Forbes (1954) [Burns Oates & Washbourne 1918]. Pope St. Pius X. London: TAN. Kühner, Hans (1960). Lexikon der Päpste [Dictionary of Popes] (in German). Frankfurt: Fischer. Lortz, Joseph (1934). Geschichte der Kirche (in German). Munster. Noel, Gerard (13 December 2009). Pius XII: The Hound of Hitler (Hardcover). Bloomsbury. ISBN 978-1-84706355-7. Renz, Christopher J (2009). In This Light Which Gives Light: A History of the College of St. Albert the Great (1930–1980). Dominican School. ISBN 978-1-88373418-3. ——— (1905). Catechism (PDF). Catholic Primer. Cardinal Rafael Merry del Val (1920). 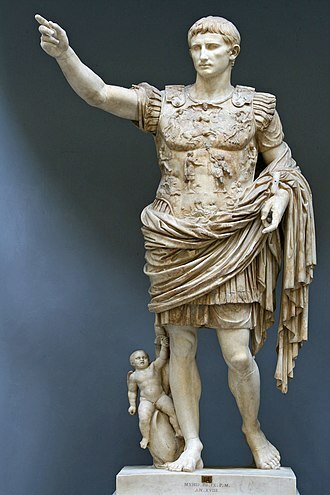 Pope Pius X. Rome: Vatican. Catechismo della dottrina Cristiana, Pubblicato per Ordine del Sommo Pontifice San Pio X [Catecism of the Christian doctrine, published by order of the High priest Saint Pius X] (in Italian). Il Sabato. 1999. Á Czaich –A. 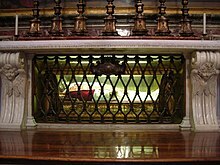 Fráter: X. Pius pápa. Életének és uralkodásának története napjainkig. Az Athenaeum, Budapest 1907. 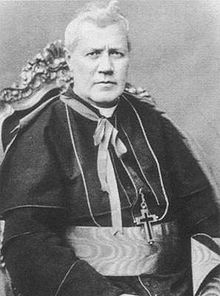 Monsignor Hartwell de la Garde Grissell (1903). Sede Vacante: Being a Diary Written During the Conclave of 1903. Oxford: James Parke & Co.
Schmidlin, Edward (1904). Life of His Holiness, Pope Pius X. 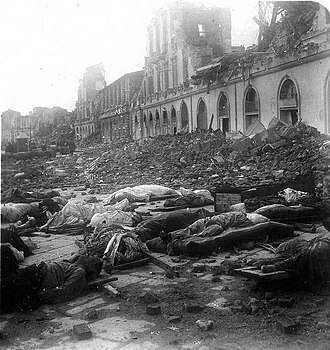 (this was an apologetic work intended for American audiences, where criticism of 'popery' was very common in society, and it contained a preface by James Cardinal Gibbons). Schmitz, Monsignor E Canon (1907). Life of Pius X. New York: The American Catholic Publication Society. 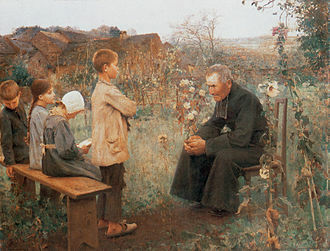 Monsignor Anton de Waal (1904). Life of Pope Pius X. trans. Joseph William Berg. Milwaukee: The M.H. Wiltzius Co.
F. A. Forbes (1924) . Life of Pius X (2nd ed.). New York: PJ Kenedy & Sons. 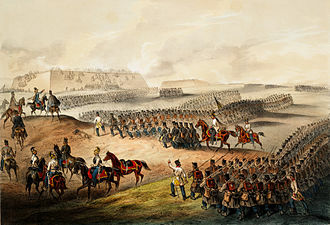 Merry del Val (above) considered this work to be the most authoritative written on him. René Bazin (1928). Pius X. St Louis: B Herder. Katherine Burton (1950). The Great Mantle: The Life of Giuseppe Sarto. Longmens. Thornton, Father Francis Beauchesne (1952). The Burning Flame: The Life of Pius X. Benziger Brothers. This priest was the editor for Burton's book. Martini, Teri (1954). The Fisherman's Ring: The Life of Giuseppe Sarto, The Children's Pope. St Anthony Guild Press. 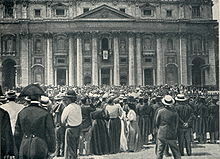 Wikimedia Commons has media related to Pope Pius X.
Giuseppe Sarto – Pius X Foundation, web site of the birthplace and the Museum of St. Pius X. In the museum, which hosts Pius X's personal belongings, an exhibition describes the life of the pope. 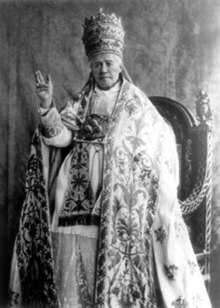 "Pope Pius X". The Catholic Encyclopedia. New Advent. "Information about the life of Pius X". IT: Museo San Pio X. "Canonization ceremony of Pius X" (video recording) (in German). Gloria.tv. Leighton, David (April 30, 2013). "Street Smarts: Eastside street leading to church named after Pope Pius X". Arizona Daily Star. "bishop/bsartogm". Catholic-Hierarchy.org. David M. Cheney. Thomism is the philosophical school that arose as a legacy of the work and thought of Thomas Aquinas, philosopher and Doctor of the Church. In philosophy, his questions and commentaries on Aristotle are perhaps his most well-known works. The Second Vatican Council described Thomass system as the Perennial Philosophy, St. Thomas Aquinas believed that truth is to be accepted no matter where it is found. His doctrines draw from Greek, Jewish, philosophers and he largely followed Aristotelian terminology and metaphysics, and wrote comprehensive commentaries on Aristotle, often affirming Aristotles views with independent arguments. Thomas respectfully referred to Aristotle simply as the Philosopher and he adhered to some neoplatonic principles, for example that it is absolutely true that there is first something which is essentially being and essentially good, which we call God. Everything can be called good and a being, inasmuch as it participates in it by way of a certain assimilation, shortly before Thomas died, his friend Reginald of Piperno implored him to finish his works. Thomas replied, I cannot, because all that I have written seems like straw to me, with the decree Postquam sanctissimus of 27 July 1914, Pope St. Pius X declared that 24 theses formulated by teachers from various institutions. Clearly contain the principles and more important thoughts of Thomas and Act divide being in such a way that whatever is, is either pure act, or of necessity it is composed of potency and act as primary and intrinsic principles. Since act is perfection, it is not limited except through a potency which itself is a capacity for perfection, hence in any order in which an act is pure act, it will only exist, in that order, as a unique and unlimited act. But whenever it is finite and manifold, it has entered into a composition with potency. Consequently, the one God and simple, alone subsists in absolute being, all other things that participate in being have a nature whereby their being is restricted, they are constituted of essence and being, as really distinct principles. A thing is called a being because of esse and creature are not called beings univocally, nor wholly equivocally, but analogically, by an analogy both of attribution and of proportionality. San Bernardo alle Terme is an abbatial church in Rome, Italy. The church was built in 1598 and was given to a French Cistercian group. The German painter Johann Friedrich Overbeck, founder of the Nazarene art movement, is buried here, the current Cardinal Priest of the Titulus S. Bernardi ad Thermas is George Mar Alencherry. 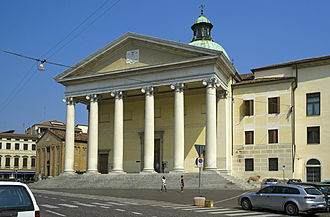 The structure of San Bernardo alle Terme is similar to the Pantheon, since it is cylindrical, with a dome, the edifice has a diameter of 22 meters. The dome decoration, made of octagonal coffers, reminds that of the Basilica of Maxentius, the interior is graced by eight statues of saints, each housed in wall niches, the work of Camillo Mariani. These are an example of the so-called International Mannerism. The Chapel of St Francis is an addition to the ancient rotunda, between these two tower-like structures, part of the same perimeter wall, there used to exist large semicircular recess, similar to an exedra, which was probably used as a sphaeristerium. This church is the seat of cardinalatial title of S.
Mary is known by many different titles, epithets and other names. All of these refer to the same individual named Mary, the mother of Jesus Christ and are used variably by Roman Catholics, Eastern Orthodox, Oriental Orthodox. Many of the given to Mary are dogmatic in nature. 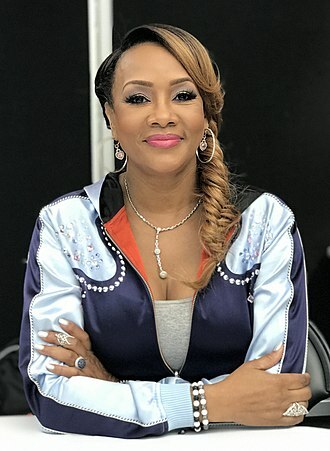 Other titles are poetic or allegorical and have lesser or no canonical status, yet more titles refer to depictions of Mary in the history of art. There are several stories on the significance of the large number of titles given to Mary. Some titles grew due to geographic and cultural reasons, e. g. through the veneration of specific icons, others were related to Marian apparitions. Marys help is sought for a spectrum of human needs in varied situations. This led to the formulation of many of her titles, moreover and devotions on the different aspects of the Virgin Marys role within the life of Jesus led to additional titles such as Our Lady of Sorrows. Still further titles have been derived from dogmas and doctrines, such as the Immaculate Conception, Marys cultus or devotional cult consolidated in the year 431 when, at the Council of Ephesus, the Theotokos, or Mary as bearer of God, was declared dogma. Henceforth Marian devotion—which centered on the subtle and complex relationship between Mary and the Church—would flourish, first in the East and in the West, the Reformation diminished Marys role in many parts of Northern Europe in the 16th and 17th centuries. The Council of Trent and Counter Reformation would intensify Marian devotion in the West, following the Reformation, as of the 17th century, the baroque literature on Mary experienced unforeseen growth with over 500 pages of Mariological writings during the 17th century alone. Mother of God, The Council of Ephesus decreed in 431 that Mary is Theotokos because her son Jesus is both God and man, one Divine Person with two natures and this name was translated in the West as Mater Dei or Mother of God. From this derives the title Blessed Mother, Virgin Mary, The doctrine of the perpetual virginity of Mary developed early in Christianity and was taught by the early Fathers, such as Irenaeus, Clement of Alexandria, and others. 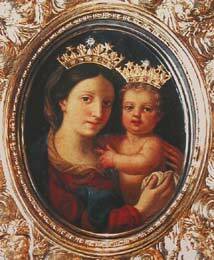 In the fourth century became a popular title for Mary. The Italian Catholic Diocese of Treviso is in the Veneto. It is a suffragan of the Archdiocese of Venice, through the intercession of Bishop Felix the city of Treviso was spared during the Lombard invasion and became the seat of a duchy. Charlemagne made it a marquisate, extending from Belluno to Ceneda, in 922 Treviso, which was under episcopal jurisdiction, was sacked by the Hungarians. 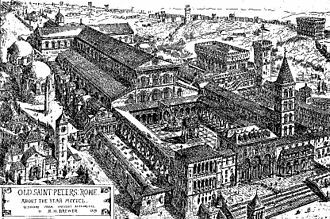 Treviso probably was Christianized from Aquileia, the first bishop of certain date was Jucundus, who in 421 took part in the consecration of the church of the Rialto in Venice. 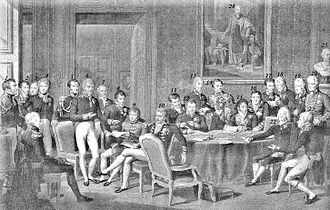 The bishops of Treviso who participated in the schism of the Three Chapters were, Rusticus, present at the Council of Murano, and Felix II, who signed the petition to the Emperor Maurice. In 905 Bishop Adelbert received from Berengar I of Italy the temporal jurisdiction of the city, Bishop Tiso suffered from the tyranny of Ezzelino, and Alberto Ricco, O. M. was imprisoned for preaching against him. 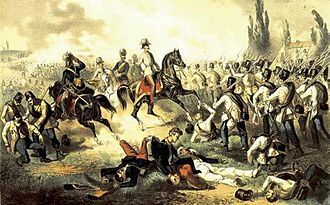 In 1818 Treviso passed from the see of Aquileia to the archdiocese of Venice. Changanacherry is a municipality in Kottayam district in the state of Kerala, India. The city is governed by the Changanacherry Municipal Council, sebastien Mathew is the chairperson of the municipality and the vice chairperson is Smt. It heads the Munsiffs court and the Judicial First class magistrates court, Changanassery is located 18 ks court. m south of Kottayam and 8 km north of Thiruvalla and Adoor on the Main Central road. With a population of about 50,000, its population was already 36,000 as early as the 1951 census, the town is situated near the tripoint of Kottayam and Pathanamthitta districts. As of 2001 India census, Changanacherry had a population of 51,960, males constituted 48% of the population and females 52%. Changanacherry has an literacy rate of 94%, higher than the national average of 59. 5%, with male literacy of 93. 9%. 11% of the population is under 6 years of age, a large percentage of population from Changanacherry resides abroad in the Gulf and America. Changanacherry market, It is one of the oldest markets of central travancore, anandasramam was inaugurated by Mahatma Gandhi. The Syro-Malabar Catholic Archdiocese of Changanassery is the largest Catholic Diocese in India, Changanacherry assembly constituency was a part of Kottayam. Almost last 4 decades Sri. C. F Thomas represented Chanaganacherry constituency in Kerala Legislative Assembly. It is now affiliated to Mahatma Gandhi University and has been reaccredited by NAAC at A+ level, as of 2014 the SB College had 16 departments and offered 35 courses for the students. It has a chapel, digital library and a research center, the alumni of SB occupy important positions in different parts of India as well as foreign countries like the United States, Austria, Qatar and the UAE. Assumption College, is a NAAC re-accredited Autonomous womens college in Kerala and it is affiliated with Mahatma Gandhi University. The college offers both bachelors and masters degrees in a variety of subjects. N. S. S College, Changanacherry, It is a college affiliated to the Mahatma Gandhi University. Established in 1947, it is one of the largest colleges under Mahatma Gandhi University, the Sacred Heart High School, called SH School locally, Sacred Heart Higher Secondary School, known as S. H.
View of the basilica as seen across the River Ebro, looking west, with the Puente de Piedra in the foreground. A bridge on the Sile river in Treviso.